By default set messaging apps, phone app, browser app, home app, calendar app and other default apps in your Google Pixel 3 and Pixel 3 XL Pie. You can set default Pixel 3 message app using message app or apps & notification settings. 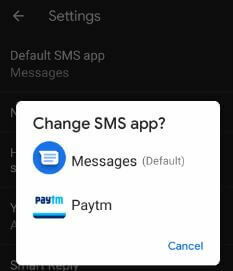 Also clear default SMS app anytime using message app settings. In this tutorial, i’ll show you how to change default SMS app on Pixel 3 Pie. We already discussed about change default apps on Pixel 3 and Pixel 3 XL Pie 9.0. When you set third party text message app as default, it will disable other messaging apps and feature from your android device. Follow below given step by step process to change default SMS app on Pixel 3 Pie. 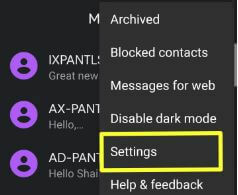 Check out below given two ways to change default texting app on Google Pixel 3 and Pixel 3 XL Pie 9.0 devices. 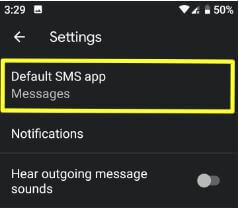 You can change default Pixel 3 SMS app using below given message app settings. 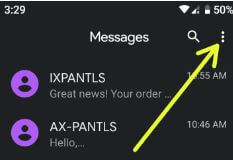 Here you can see default SMS app, notifications, smart reply and advanced options. You can see pop-up screen: Change SMS app? 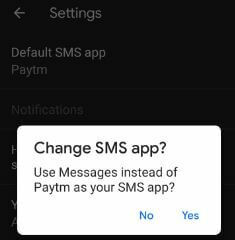 Also again set default SMS app anytime using this settings. Now your Google Pixel 3 device use messages instead of default SMS app. Now change Pixel 3 default messaging app. 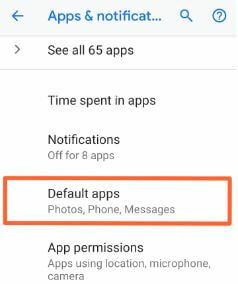 To set default app again, clear default app in your android device. And that’s all. I hope this little tip useful to change default SMS app on Pixel 3 XL and Pixel 3 Pie. If you have any question, tell us in below comment box. Don’t forget to share with others.